A 26-year-old graduate of the Indian Institute of Technology, Kanpur, allegedly committed suicide by jumping to death from the 23rd floor of a posh apartment building on Golf Course road late Sunday evening. Police said he was grappling with depression for the last 16 months. The deceased, identified as Ankit Wadhwa, allegedly jumped from his uncle’s apartment in DLF Magnolias as he was depressed and dissatisfied with his job. Wadhwa hailed from Sriganganagar in Rajasthan and used to work in Mumbai. He was also planning to get a masters degree in business administration, said Gaurav Phogat, station house officer of Sushant Lok police station. He had come to Gurgaon on Sunday to appear for an entrance test to a management institute. However, late Sunday evening, he jumped from his uncle’s apartment and died, the police said. The parents of the deceased have been called and the body would be handed to them after a post-mortem examination. Ravinder Kumar, a spokesperson for Gurgaon police, said that action has been initiated under Section 174 of the IPC at the Sushant Lok police station. 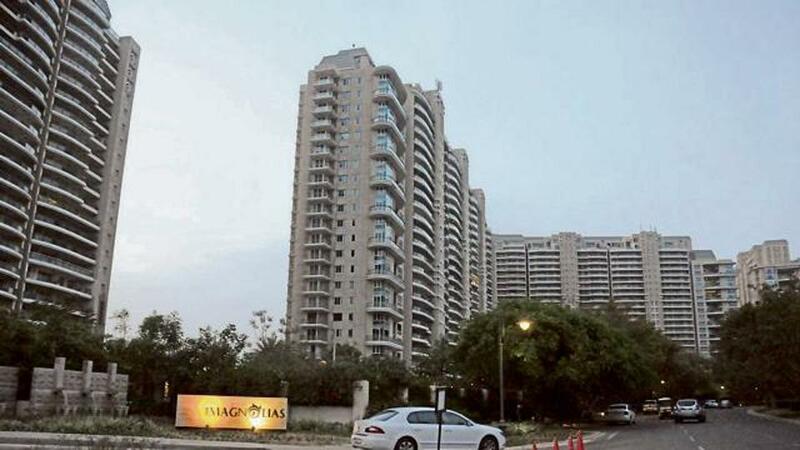 A 26-year-old IIT-Kanpur graduate allegedly leaped to his death from the 23rd floor of a high-rise at DLF Magnolias here early on Sunday. Ankit Wadhwa, a resident of Sri Ganganagar in Rajasthan, had come to Gurugram to appear for his GMAT exam in Delhi on Monday. He was staying at his paternal uncle's flat on Golf Course Road. He went to his room after dinner around 10:30 p.m. and was allegedly found dead on the ground floor four hours later. The matter came to light when the security guard heard a loud thud and discovered the body lying in a pool of blood. No suicide note has been found, the police said. His uncle and aunt and the couple's son and daughter-in-law were inside the flat when the alleged incident took place around 2:00 a.m.
Station House Officer, Sushant Lok Police Station, Inspector Gaurav Phogat said that Ankit had been depressed for over a year and was undergoing treatment for the same. “He had some career-related issues and was depressed,” said Mr. Phogat. He had earlier worked with J.P Morgan company in Mumbai for over two years, said the police. The family has been informed about the incident and the body will be handed over to them after post-mortem, the police said.